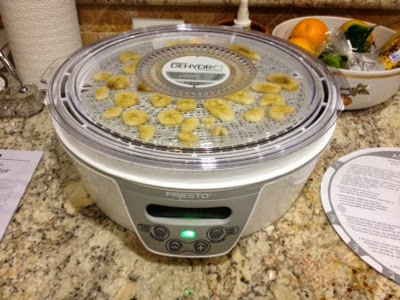 The first thing I made with my new dehydrator was bananas. They turned out to be not bad but not amazing. I think next time I will make the slices thicker so they are a little softer. The size I made them they turned out to be pretty flat so it was like a stale chip but I still ate the whole batch in one go. 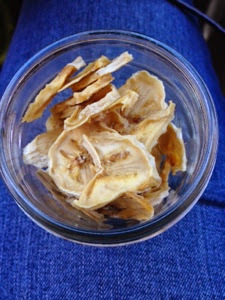 Slice them and dehydrate them at 135F for 5-7hrs.